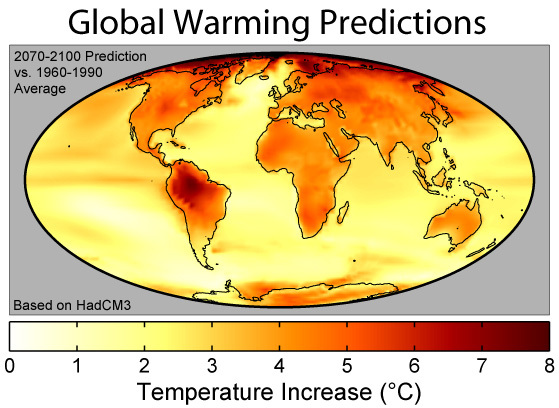 1) Summarize key changes in the earth’s climate system (include vital numbers quoted in the documentary) that are projected to occur with each incremental rise in global temperature. Do not simply list these changes. I am well aware that if you do a google search, you will get numerous hits that describe degree-by-degree changes as described in the movie. Well, if you copy those (or paraphrase them), it wouldn’t be as much fun—Right? Not to mention, you don’t want to risk getting F on this course because of plagiarism. So do the right thing….Watch it and use your own words to articulate your response in a fashion that conveys a clear picture of these changes. If it helps, think yourself as a science writer who has been entrusted to crystallize the essence of this documentary in a short article. 2) Reflect on this documentary. What did you find interesting, shocking, and tacky! The arctic passage will become ice-free for half the year. The Bay of Bengal and its surrounding homes will be met with a deluge of flooding. The South Atlantic will be hit by hurricanes. Severe drought in the western U.S. will cause problems within commodity markets (e.g. grain, meet, etc.). There will also be more deserts in the western part of the United States and this literally starts in Texas. What is being seen right now in Nebraska in this day of already nearly a degree of warming is rather nasty. Indeed, water has to be pumped to cows in the field every day and the cows must also be moved a lot so as to keep them fed due to lack of growing grass. Lack of water, per the video, makes the fields unusable for cattle. The video adds to this by saying that much of the current ranchlands will become desert again. This is something that has not happened for six thousand years. It is projected that a shift of one degree could turn modern days into the dust bowl times a factor of 20. The sands from the last desert time are only a few inches under the current soil (Iulian, 2016). When it comes to the second degree of temperature rise, this is called the “tipping point” and the “slippery slope.” James Hansen from NASA is one who says the latter. It is entirely possible that there is absolutely no ice in the Arctic during the hot part of the year and there would be a “runaway train” when it comes to melting in general. As the heat is absorbed more, things will get warmer and warmer. In short, it will be a domino effect. This will in turn make future warming hard to predict and harness (Iulian, 2016). This degree would create a de facto feedback loop and this would tend to accelerate global warming even more. Areas that are currently dominated by trees and other plants will be laid to waste and will become arid savannahs. In short, it would probably mean the death of the Amazon forest. As the video calls it, it would be the “perfect drought.” The Amazon river would literally run dry. It has already happened to a lighter extent in 2005. If three degrees happen, it would almost certainly happen again and it might not recover. Drought and fire would surely follow along with whatever happens (Iulian, 2016). Four degrees of change would lead to sharp ocean risings and this would wipe out the deltas of several countries including Italy (Venice), Egypt and Bangladesh. Northern Canada would become lush and green due to the vast meltdown of ice and tundra that is present there right now. The two men drawing a chalk outline to show the next “shore” is rather stunning as it would wash out the Wall Street area (Iulian, 2016). Beyond four degrees, things get extremely dire according to the video. Parts of two massive continents will become uninhabitable. Just one city affected would be Los Angeles. There is now the “Twilight Zone” of climate change. Social systems would almost certainly break down. This is especially true in poorer countries that are already behind the proverbial eight ball. Hurricane Katrina is just one example of just how bad it could get. The video talks about how six degree of global warming will lead to a replication of the Crustaceous era and this will basically wipe out the human race. Reflect on this documentary. What did you find interesting, shocking, and tacky! One thing that stood out is that the early dialog says the debate is “over.” That is perhaps a bit unprofessional or less than scholarly. While a lot is known, there is a lot more that is unknown and this is proven by the pervasive use of “might” and “could” throughout the dialog that happens after that. "Global Warming and Climate Change Essay." Aceyourpaper.com. Student Network Resources Inc, 24 August. 2017. Web. 20 April 2019. Student Network Resources Inc. "Global Warming and Climate Change Essay." Aceyourpaper.com. 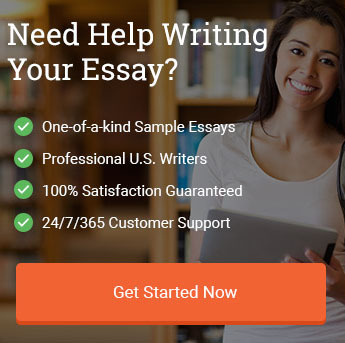 https://www.aceyourpaper.com/essay/global-warming-climate-change-essay/ (accessed April 20, 2019).